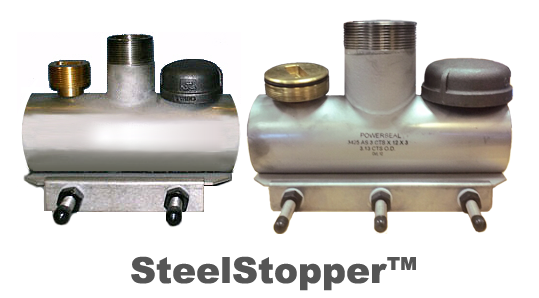 The SteelStopper All Stainless Steel Line Stop Saddle series are available as a bolt-on solution for use with the highly rated Qualitech Line Stop machines. This Line Stop Saddle is manufactured for an exact fit on Sched 40/80 Steel Pipe. It comes with a NBR Waffle Gasket, All Stainless Steel Construction with Brass Completion Plug and MI Cap. They are rated for water and sewer applications up to 150 psi.